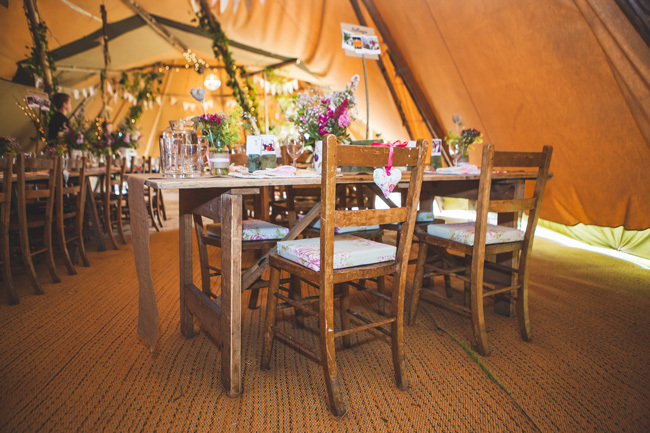 Forget chair covers – rustic receptions need rustic seating. But if hay bales are just one step too far, look for traditional wooden chairs and pretty them up with homemade chairback decorations or pretty cushions. 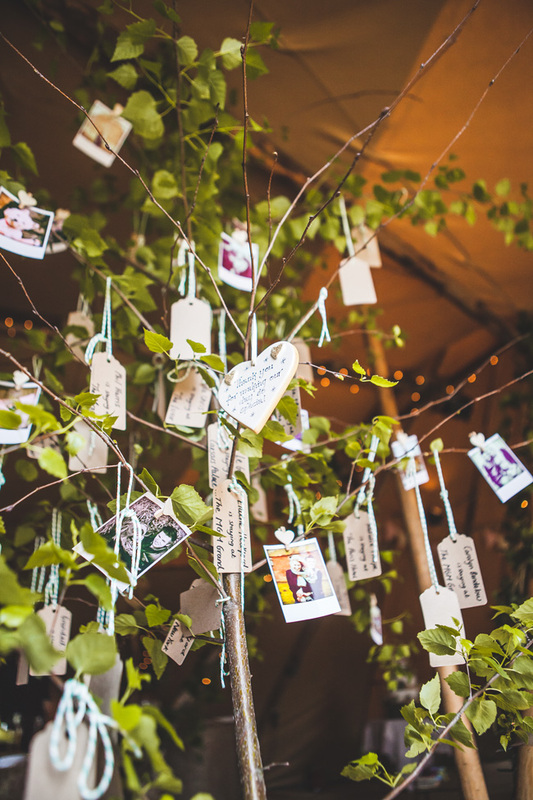 Bring the outside in at your reception with a romantic wish tree. 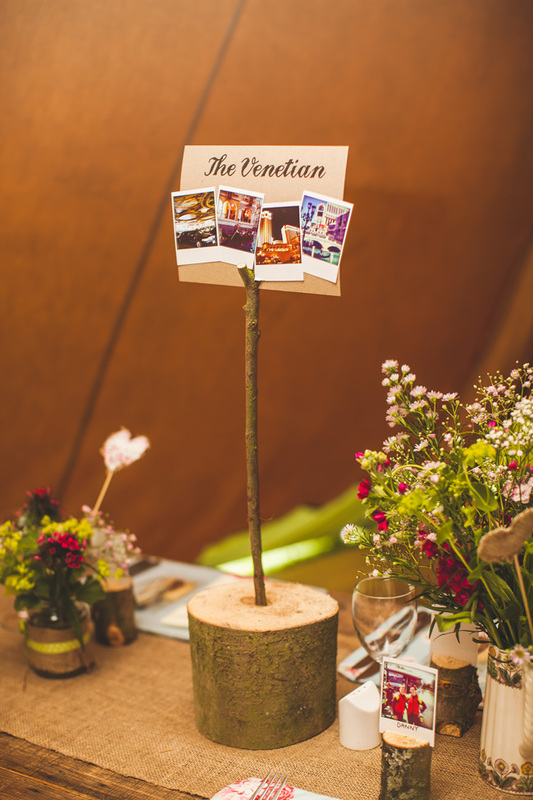 Leave tags and ribbon at the base and your guests can write their good luck messages and tie them to a branch. 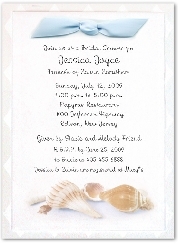 Just remember to collect them at the end of the night and stash them away to read on honeymoon. 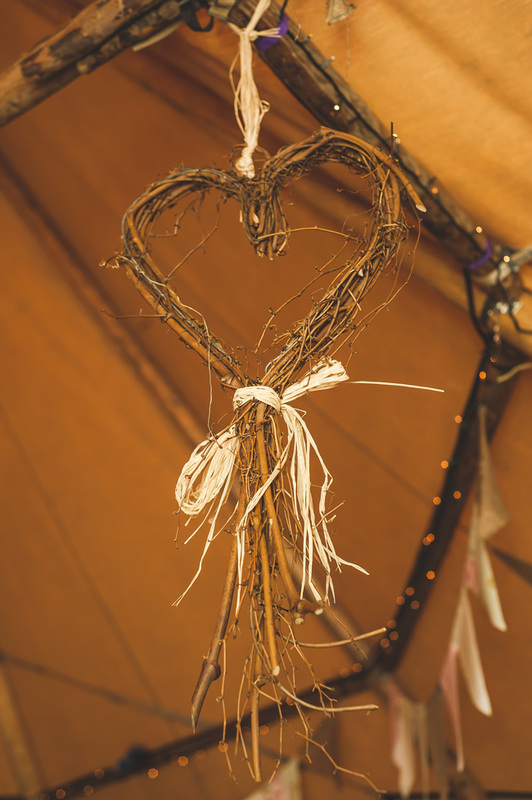 Quick and easy to make at home, even for a DIY novice, these pretty hessian favour bags are perfect for a rustic theme. The lace and ribbon add that essential ‘wedding-y’ touch. 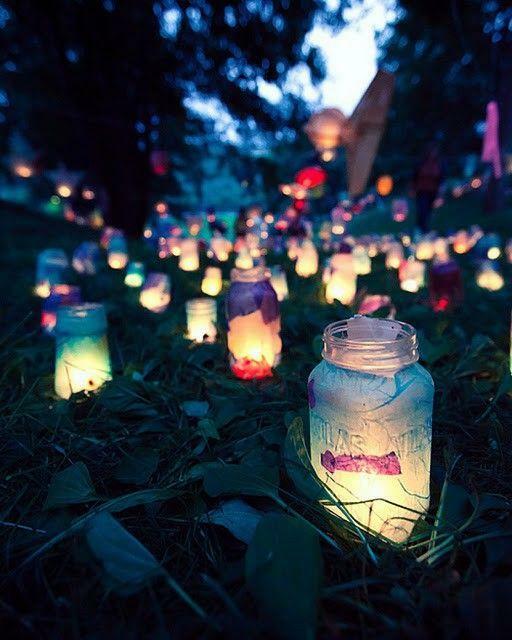 Fill them with suitably rustic, homemade sweets or perhaps even wildflower seeds that your guests can sprinkle back at home. 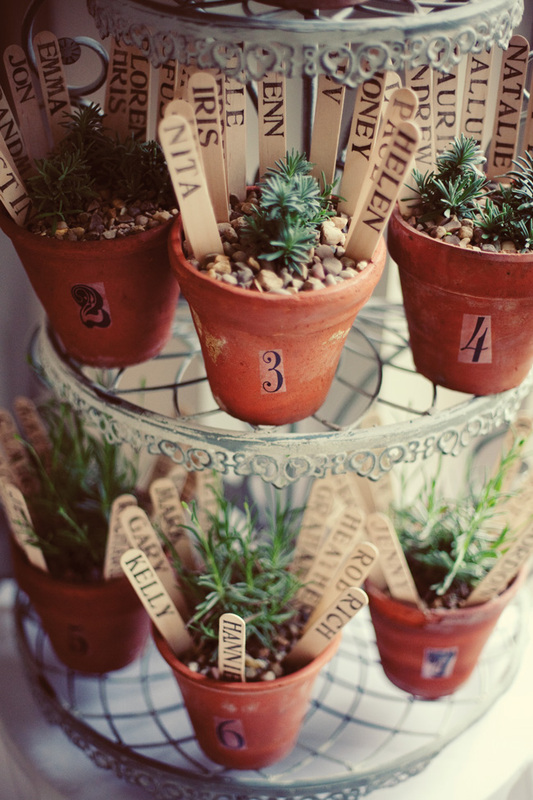 We loved this idea when we first saw it in the Wedding Ideas office. Each table is represented by lavender plants in sweet terracotta pots. You could even give them away as favours if you wanted to. Terracotta has an immediate rustic feel – dig out some old pots and make a display of your own. 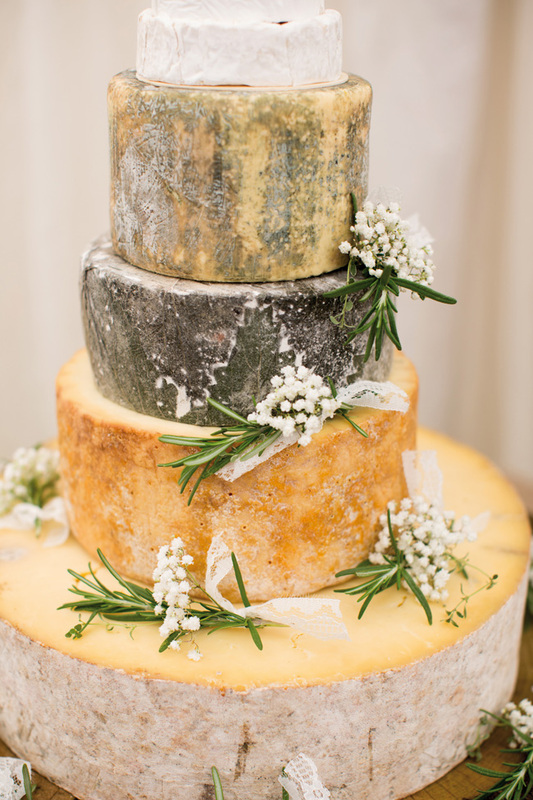 A traditional tiered wedding cake may look out of place at a rustic wedding, but cheese truckles stacked high surrounded by crackers and grapes will look amazing and be a real talking point for your guests. Alternatively being them out half way through the evening party for a late-night nibble! If you go down to the woods today, you’re sure to find fallen twigs and branches that can be fashioned into fabulous rustic hanging decorations. Look for willow or hazel, which is particularly bendy and easy to manipulate.